Many natural antidepressants are great alternative ways to combat depression to prescription antidepressant medications. They generally work better, faster and with fewer side effects. Depression is one of the most frequent mental disorders affecting more than 350 million people in the world. It is estimated that 1 in 10 adults currently take an antidepressant on prescription. But antidepressants can have some important side effects and work only in less than half of those who take them. There are a variety of methods to overcome the depression that has proven effective according to various scientific studies. Here we present 14 natural antidepressants that work as well or even better than the usual medications prescribed for depression – with fewer side effects. Most of them are supplements but they will act as antidepressants, which can increase your mood without pills of any kind. When you are depressed, you would like to feel relieved quickly. But you may lack the motivation to perform some of the healthy lifestyle choices that you know you should do. Antidepressants supplements can help. Taking the right supplement can make you feel good again. Curcumin is the main active component of turmeric, a golden colored spice commonly used in Indian cuisine. Curcumin supplements are as effective for depression as Prozac, the most popular selective serotonin reuptake inhibitor (SSRI). Interestingly, when curcumin is taken simultaneously with an antidepressant, it improves the efficacy of the drug. Curcumin works by increasing the levels of dopamine and serotonin. Dopamine is the “molecule of motivation” and is also responsible for your pleasure-reward system. Serotonin is the chemical responsible for happiness. Consider curcumin if you have major depressive disorder or depression along with obsessive-compulsive disorder (OCD). Saffron is well known because it is a bright yellow culinary spice, but its use as a natural antidepressant is little known. Saffron also works against depression as Prozac acting on the metabolism of serotonin. When you go to buy a saffron supplement to fight depression, quality matters. If it just says “saffron extract” on the label, it’s almost certainly not real. American saffron, Mexican saffron and meadow saffron (which is poisonous) are examples of “other” crocuses that you can find in the market. Saffron is one of the most common fraudulent foods. The USP Food Fraud Database contains more than 100 ingredients that have been used as fake saffron, including calendula flowers, turmeric, poppy flowers and beet fibers and adulterants. Many saffron supplements are sold for weight loss because it also decreases appetite. This makes saffron one of the best ways to combat depression. 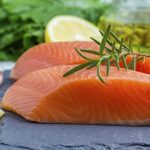 Depression has been linked to low levels of Omega-3 essential fatty acids. The best dietary sources of omega-3 fats are cold-water, high-fat fish such as sardines and salmon. The deficiency of an Omega-3 in particular, docosahexaenoic acid (DHA) is related to depression, schizophrenia and bipolar disorder. Another omega-3 acid, eicosapentaenoic acid (EPA), has also been found to be good for reducing depression. If the fish is not part of your usual diet, consider taking a fish oil supplement that contains DHA and EPA. Keep in mind that if you are already taking an antidepressant, eating fish can make it more effective. Tryptophan is an essential amino acid that is a precursor to serotonin and melatonin, the natural sleep hormone. Several studies show that it works as well for depression as antidepressants. A wide variety of disorders have been correlated with low levels of tryptophan. In addition to depression, tryptophan has therapeutic value for ADHD (Attention Deficit Hyperactivity Disorder) , insomnia, anxiety, bipolar disorder, OCD (Obsessive Compulsive Disorder), schizophrenia and seasonal affective disorder. There is a strange paradox when it comes to obtaining tryptophan from foods. It is found in animal protein foods such as eggs and meat, but the presence of proteins blocks the synthesis of tryptophan in serotonin. For this reason, tryptophan supplements work best to increase the body’s tryptophan level than the tryptophan found in foods. Do not take tryptophan in supplements together with an SSRI (selective serotonin reuptake inhibitor). When taken together, they can cause a potentially serious illness known as serotonin syndrome. Drinking green tea daily reduces the risk of depression by 44%. It is believed to be responsible for this is EGCG (epigallocatechin gallate), one of the main active compounds found in green tea. EGCG increases resistance to stress and is as effective for anxiety as existing medications against it. Another amazing way of how EGCG works is by altering brainwave patterns, putting it in a relaxed but attentive state, similar to meditation. 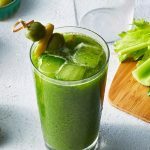 It is better to get EGCG through green tea and not as a supplement. EGCG supplements are poorly used by our body – only 1% is absorbed. And taking a supplement would lose the synergy between EGCG and L-theanine, another relaxing compound found in green tea and caffeine. These three compounds work together to improve attention, memory and learning. Drink green tea if your depression is accompanied by stress, anxiety or concentration problems. Acetyl-L-Carnitine (ALC or ALCAR) is an amino acid with well-documented properties of brain stimulation and anti-aging. ALC works to a great extent by creating acetylcholine, the main neurotransmitter associated with memory and learning. The activity of acetylcholine is the target of drugs against Alzheimer’s, which block the breakdown of this brain chemical. ALC has fast-acting antidepressant properties. It begins to take effect in a week, working faster than prescription antidepressants. This effect is felt even in the elderly who are usually slower responders. Kava (Piper methysticum) is a traditional relaxing tea from the South Pacific. It is as effective for anxiety as prescription drugs against it, but it has also been found to be an effective alternative to antidepressants. Kava works by increasing the level of the brain’s chemical GABA relaxant. If you suffer from depression along with overwhelming stress or anxiety, kava may be the supplement you want to try. Kava is especially useful for menopausal women who are depressed and anxious. And unlike hormone replacement therapy, kava will not interrupt estrogen levels. The Arctic root (Rhodiola rosea), as its name suggests, is found mainly in those cold regions of the world. It was traditionally used in Chinese medicine as an adaptogen to increase physical resistance and reduce fatigue due to stress. It acts by increasing the activity of brain chemicals that increase mood: serotonin, dopamine and norepinephrine. It is one of the best ways to combat depression than prescription antidepressants. If your depression is accompanied by anxiety or fatigue or is caused by a seasonal affective disorder (SAD), the Arctic root may be the answer you were looking for. 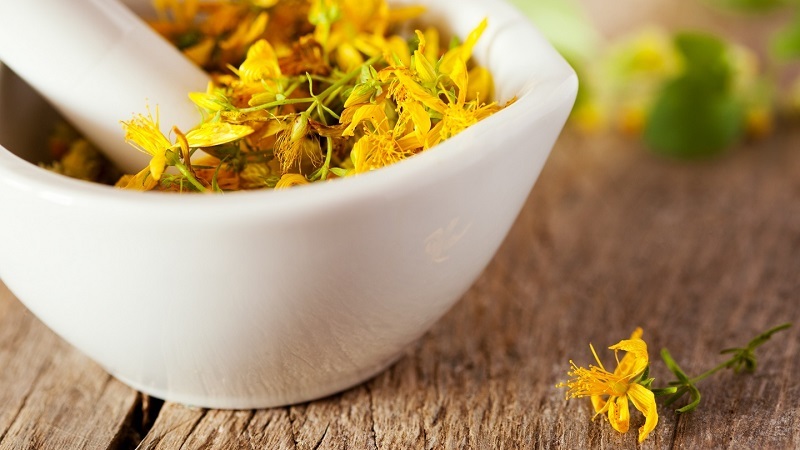 St. John’s wort (Hypericum perforatum) is one of the most popular natural antidepressants. However, St. John’s wort is a dangerous herb with many side effects and negative interactions. 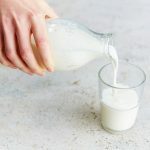 Its side effects are surprisingly similar to those caused by antidepressants, including anxiety, panic attacks, nausea, dizziness and spikes in blood pressure. It can worsen dementia and trigger psychosis or mania in patients suffering from bipolar disorder. In women, it can make contraceptive pills less effective. It reacts badly with many common pharmacological substances, both pharmaceutical and natural. It definitely should not be taken together with antidepressant medications, because together they can cause serotonin syndrome, potentially fatal disease. For that same reason, St. John’s wort should not be mixed with any substance that acts by raising serotonin. This also includes other natural remedies in ways to combat depression, such as 5-HTP and tryptophan. 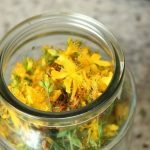 The conclusion is that because of the possible complications and side effects that St. John’s wort can cause, it is not worth risking taking it unless you have exhausted all other possibilities. Not all natural antidepressants are things that are taken. Some are things that you do on a regular basis. Supplements can definitely help you “get out of the woods,” but taking them for life is not ideal. Once you feel more hopeful and motivated, add some (or all) of these antidepressant activities more than proven to your daily routine. These activities are a great step forward on the path to mental health and happiness. 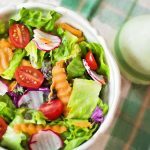 Surely you have heard, read or seen that Tran’s fats – those found in processed foods, fried foods, and fast foods – are bad for your health. There is a direct correlation between the amount of harmful Trans fats consumed and the risk of depression. We were led to believe that vegetable oils such as soybeans and canola oils are healthy, when in fact they are a ubiquitous source of Tran’s fats. The simple act of replacing these oils with extra virgin olive oil reduces the risk of depression by half. Another healthy food for our brain that should be present in every kitchen is coconut oil. Coconut oil, with its unique composition of antioxidants and medium chain fatty acids, can be as effective for depression as antidepressants. There are few things better for your brain health in general than physical exercise. Exercise increases blood flow to the brain and sends more oxygen and nutrients while eliminating toxins and metabolic waste. It also stimulates the formation of new brain cells and greater connectivity between areas of the brain. It can even change gene expression. It regulates the same neurotransmitters targeted by antidepressants, but it can relieve depression, as well as or even better than these medications. Exercise in nature is considerably more beneficial than exercise indoors. Outdoor exercise will help restore your circadian rhythm for better sleep. Outdoor exercise can replenish your valuable reserves of vitamin D, which improves mood. The evidence is overwhelming: a regular practice of meditation is an incredible way to overcome depression. They concluded that their best uses were for depression, anxiety and pain management, but that their benefits extended to mental disorders of all kinds, including generalized anxiety disorder, panic disorder, agoraphobia, social anxiety and addictions. Meditation increases serotonin and GABA while reducing the stress hormone cortisol, which contributes significantly to depression. Meditation reduces inner negative dialogue, often a problem for anyone with a mood disorder. Depression also responds favorably to yoga, acupuncture, guided imagery, autogenic training, self-hypnosis, biofeedback and neurofeedback. It may sound too simple to be true, but starting a hobby can act as a natural antidepressant. More than 80% of the weavers with depression felt happy when they wove. More than 50% said they felt “very happy”. But you do not have to knit, any “activity with a purpose” will give you the same results. Sign up for drawing, reading, gardening, arts and crafts classes, doing home repairs or playing an instrument. It’s up to you! Being immersed in a leisure activity with which you enjoy focuses the mind in a similar way to meditation, releases dopamine and protects the brain against aging. Few of us think too much about breathing, we just do it because it is necessary to live! Unfortunately, few adults breathe from the diaphragm and instead take short, shallow breaths that contribute to the body’s stress response. Dr. Andrew Weil, a leader in the field of integrative medicine known, believes that learning to breathe properly is the most important thing we can do for our overall health and mental well – being. The use of proper breathing techniques reduces anxiety and depression, sometimes as effectively as medication does. A breathing technique – Sudarshan Kriya Yoga (SKY) – can relieve mild depression, post-traumatic stress disorder, insomnia and anxiety. In one study, participants who used the SKY technique for 30 days experienced considerable relief from depression. After 90 days, the brainwave patterns of the depressed participants in the study had returned to normal and they said they felt free of any symptoms of depression. Antidepressant medications are not the only ways to combat depression. Nature provides us with “a medicine cabinet” of medicines through natural antidepressant herbs, amino acids, and healthy oils that have been studied and shown to work as well as or better than prescribed antidepressants. Some work better, faster and almost always with fewer side effects compared to drugs like SSRIs. Not all natural antidepressants tested are pills that you take – some are the things you do in your day to day life. By including anti-depressant activities in your routine, you can free yourself from dependence on taking a pharmaceutical or natural antidepressants to maintain your new and improved mood. From Healthy Life Councils we are not qualified to issue any diagnosis or to prescribe any type of medication. If you have any problem or illness, go to your doctor.